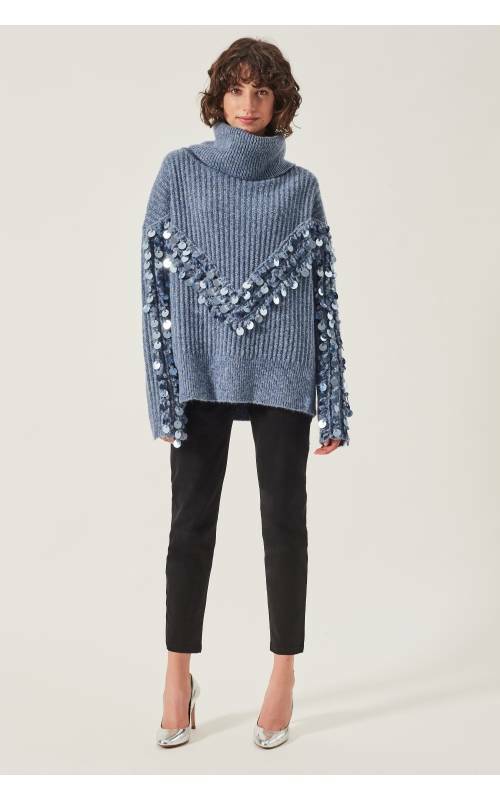 Embrace Persian style with this one-of-a-kind Manoush sweater. 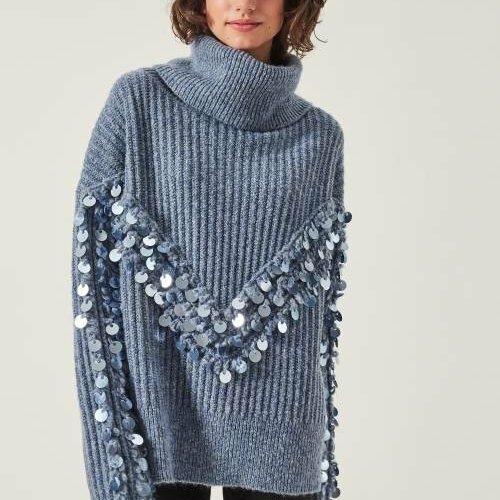 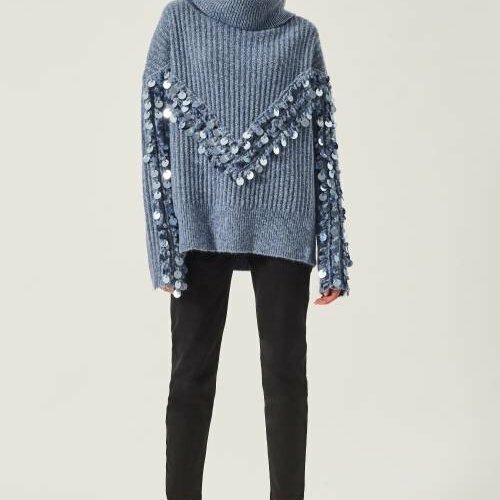 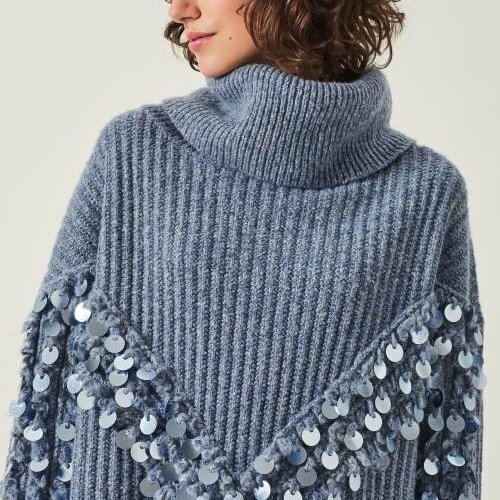 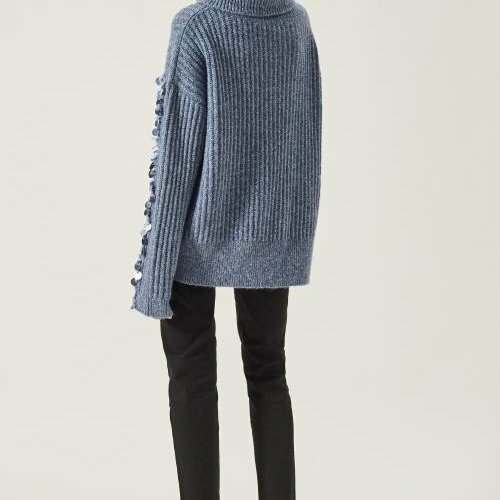 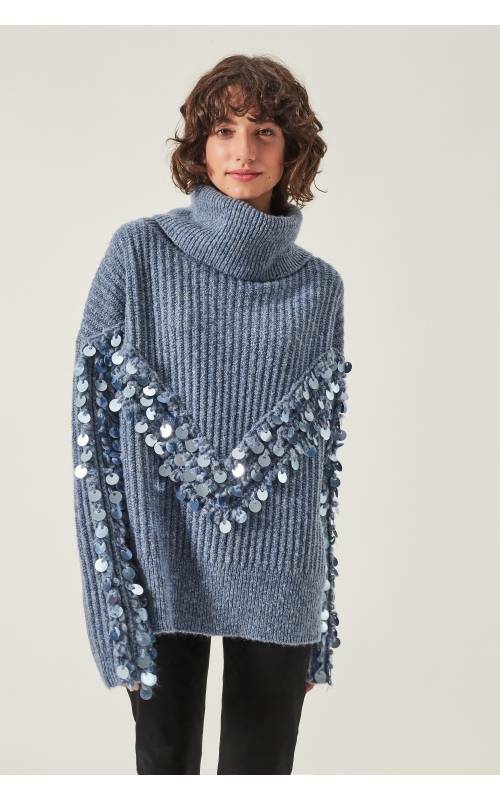 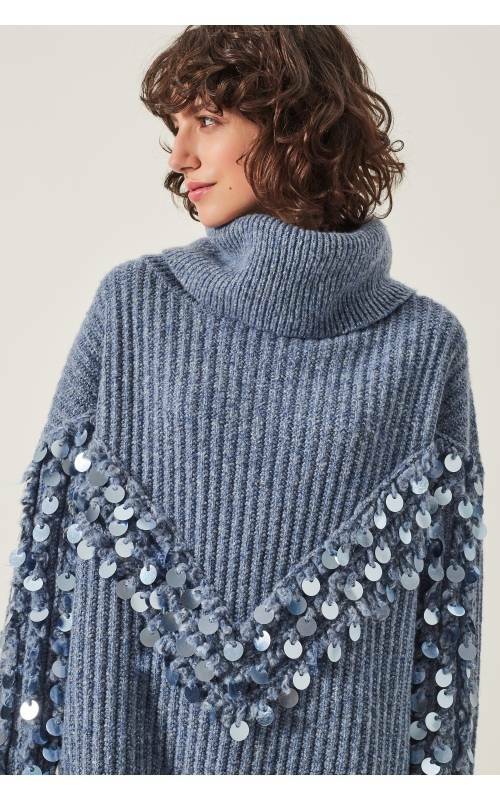 The sweater features a thick turtleneck and a sequin design. 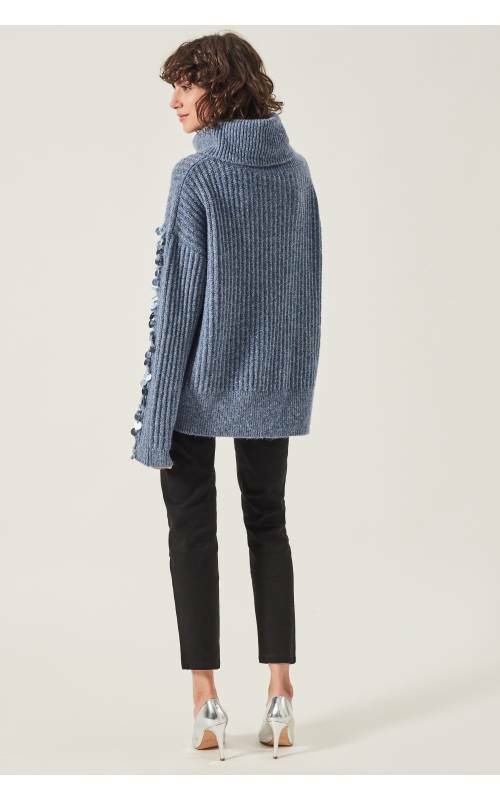 This sweater is the perfect transition piece from fall to winter.